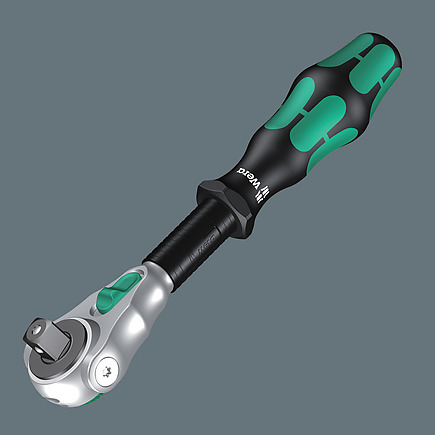 This tool enables hexagon nuts to be easily removed from sockets with holding function. 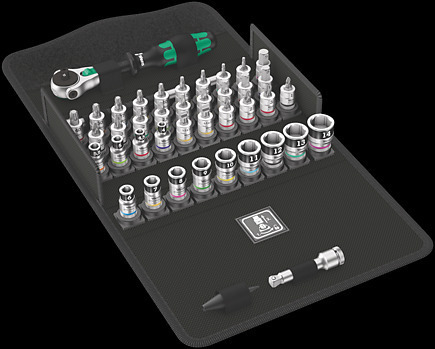 The HF tools developed by Wera are ideal because they feature an optimised geometry of the original TORX® profile. The wedging forces resulting from the surface pressure between the drive tip and the screw profile mean that TORX® screws made according to Acument Intellectual Properties specifications are securely held on the tool! 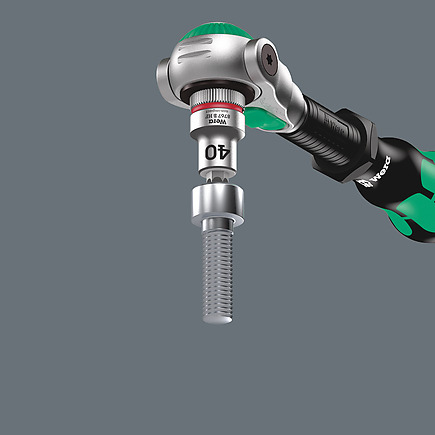 The clamping of the screw is achieved by a flexible locking ball. The holding function is especially helpful in confined, hard-to-reach spaces, where there is no room for a second hand to secure the screw. 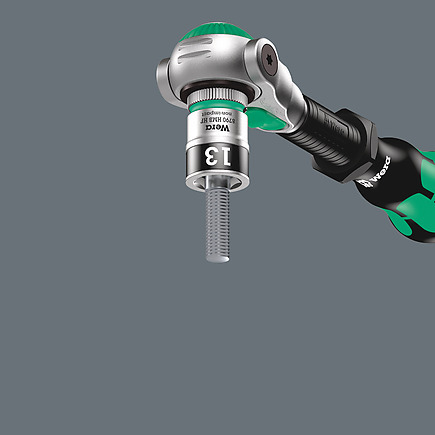 The clamping of the screw is achieved by a twin spring loaded ball retention system. 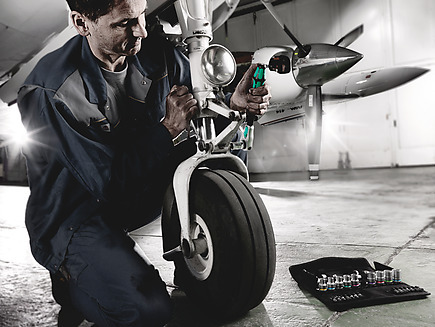 The tubing is effectively protected against mechanical wear and tear by a steel ring. 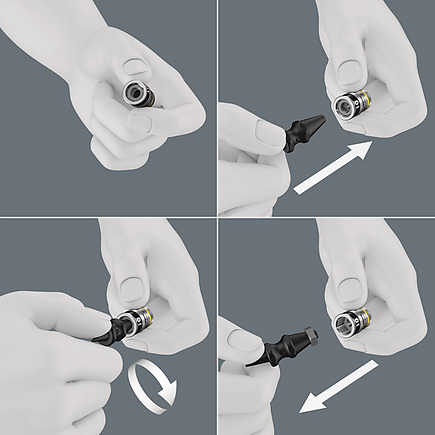 The holding function is especially helpful in confined, hard-to-reach spaces, where there is no room for a second hand to secure the screw. 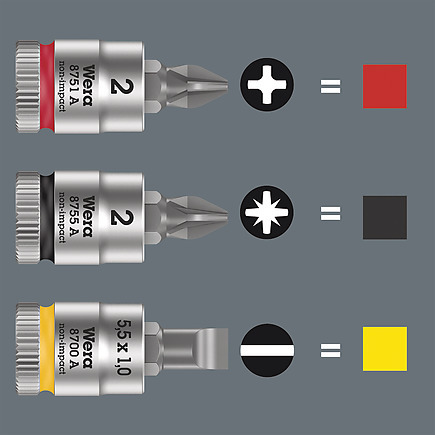 “Take it easy" tool finder with colour coding according to profiles and size stamp – for simple and rapid accessing of the required tool.